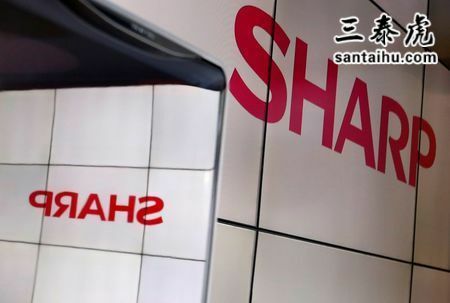 TOKYO (Reuters) - Nearly 3,000 foreign workers subcontracted to Sharp Corp have been laid off in central Japan, a labour union said, as the firm moves production of some sensors for Apple iPhones to a Chinese plant owned by its parent Foxconn. The labour union said some of the laid off workers were its members. The union is in Mie Prefecture in central Japan, where Sharp's plant is located. The news of the relocation, first reported by the Nikkei business daily, and the layoffs sent Sharp shares down 5.7 percent on the Tokyo Stock Exchange. This compares to the broader Tokyo market's 2.4 percent decline. The deep job cuts come as Japan debates whether to bring in more foreign workers amid a local labour shortage, highlighting how such employment is often at the mercy of manufacturers' production cycles. A Sharp spokesman said the company was not in a position to comment on issues at subcontractors. Sources familiar with the matter, however, told Reuters that Foxconn was relocating production of sensors used in the facial recognition feature introduced by Apple Inc in its iPhone X last year. The sources, who declined to be identified because the decision to relocate is private, did not say why Taiwan's Foxconn decided to move the production from the Sharp plant to its own plant in China. Foxconn said in a statement that the company follows a strict company policy of not commenting on any matters related to current or potential customers, or any of their products. In October, Sharp lifted its full-year profit outlook as a part of a turnaround under the ownership of Foxconn. The Osaka-based electronics maker has slashed costs after being taken over by Foxconn, formally known as Hon Hai Precision Industry Co Ltd, in 2016 as it struggles to compete with South Korean rivals in organic light-emitting diode screen technology. Foxconn, Apple's biggest iPhone assembler, is conducting its own restructuring measures, aiming to cut 20 billion yuan ($2.88 billion) from expenses in 2019 as it faces "a very difficult and competitive year", Bloomberg has reported. "The deep job cuts come as Japan debates whether to bring in more foreign workers amid a national labour shortage,"
Seems to me there will be 3000 available people they can tap soon. Sharp Inc. bought out by FoxConn??? Oh my, how the tables have been turned around. Sharp actually came out first with a versatile device similar to the iPhone which does everything except the phone function. That was way back in the early 1990s. I was amazed. So why didn't Sharp capitalize on it?? No, it let Apple to take the world by storm with its iPhone. so what is FoxConn going to make in their new manufacturing plant in Wisconsin when (IF) it gets built? prospects don't appear to be all that good at this point. The people laid off are not Japanese. They are foreign staffs in Japan. So it neither hurts Japanese nor American. The US needs to start severely taxing large corporations who move production to other countries but want to have their base operations in the USA. Here in Japan there are growing problems with labor laws. If you are hired as a full-time, permanent worker in Japan, it is nearly impossible to get fired. Japanese workers spend a lot of hours in the office or factory, but are not very productive. Japan’s promotion sytems are based on seniority, not performance, if you are an exceptional worker who does more than your coworkers, it doesn’t matter, whichever coworker is the most senior will get the next promotion and raise. Since there is no reward for performance, and no consequences for not performing, workers don’t bother to perform. This means that more workers must be hired to do a given amount of work, and that more hours must be worked to get the job done. Wages are stagnant because domestic consumption is falling, and companies are overstaffed with workers who do little more than show up, sit at their desks, and spend an hour or more each day on the toilet playing games on their phones. Japanese companies are swimming in red ink, some are still shouldering debts incurred at the beginning of the 90’s. The news is hardly surprising, at least to those of us in Japan. Since the iphone is made in China, there is no reason or American consumers to pay an arm and a leg to buy the iphone while Samsung phones are cheaper. Boycott apple for a while until they recant. Overpriced stuff is constantly being "fixed" after they are sold. I have Samsung that has worked about 5 years and not a glitch. Also stays charged for days. Bad move by Sharp. China will just steal everything from Sharp. China will steal all the technology involved in their manufacturing. No more Sharp product for me! It's all about the bottom line. A company is in business to make a profit. And that profit will be made one way or the other.That's the way it is. Recent reports said Foxconn in having problems in China and now they move production from Japan to China and isn't this display the same product they claimed they were going to make in Wisconsin. If they decide not to use that plant it means Walker wasted billions of tax payer money for nothing.